It is an extremely helpful tool that Security Administrators of AX can use during the development of user security. 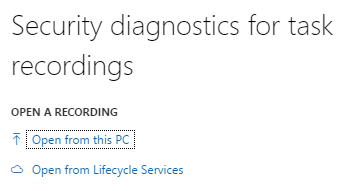 In D365FO though, the Security Development Tool doesn’t exist as a separate application but instead its features are implemented directly in the application itself. To help with the process of figuring out which menu items are used during the task, I have created a tool to help parse out a Developer’s Recording, it is available on my GitHub and a screenshot is below. 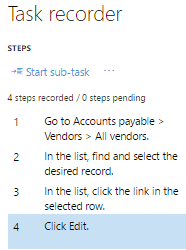 D365FO has now added an easy way to parse the task recordings to get the menu item data from it. 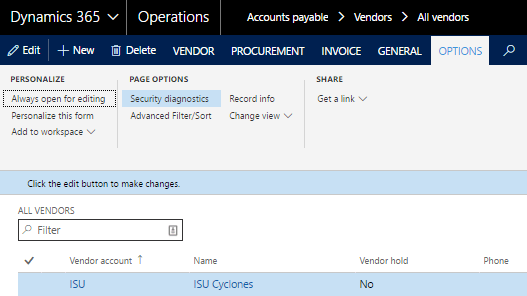 In the system administration module, under the Security heading you will find an entry for ‘Security diagnostics for task recordings’. 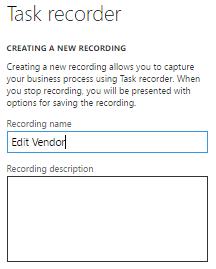 One thing to note though is that this tool will not recognize menu item outputs or menu item actions used during a task recording. 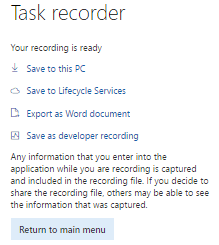 If you click on that you will be presented with a couple options, with the Open from this PC option you can upload previously downloaded task recording XML files, you can also open any saved task recording from LCS. Once the file is processed, you will be presented with a screen with very similar output from the utility I wrote. 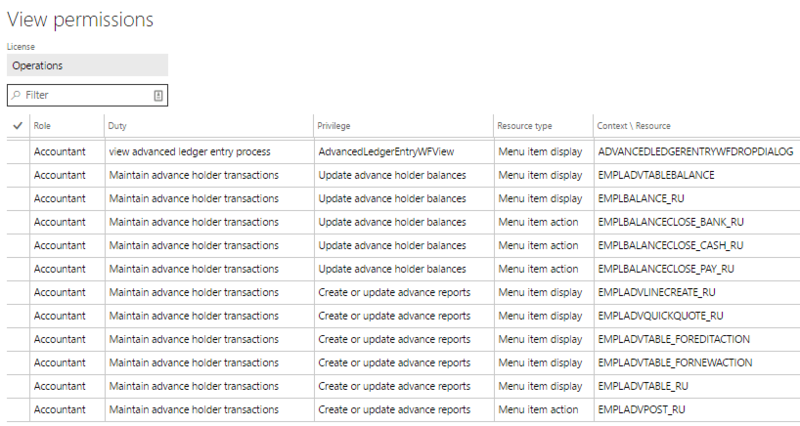 It will show you the label name, AOT name, and type of each menu item found in the task recording. One really cool feature, is that you can select a user from the User ID drop down and the system will tell you whether that user currently has the necessary permissions. 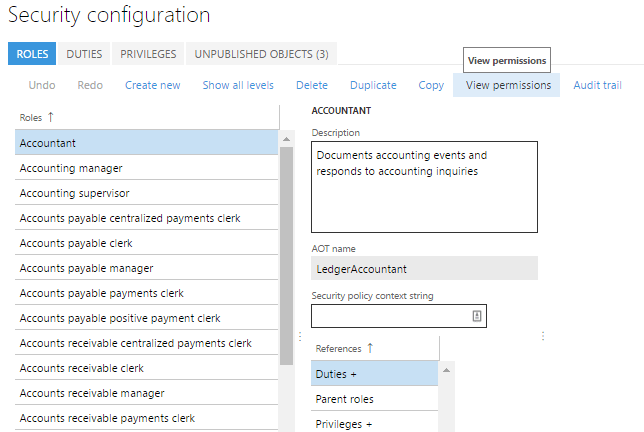 In the example below, you can see that this user is missing the necessary permissions to perform this process. An impressive share! I have just forwarded this onto a co-worker who was conducting a little research on this. And he actually ordered me breakfast because I found it for him… lol. So let me reword this…. Thanks for the meal!! But yeah, thanx for spending time to discuss this matter here on your blog. 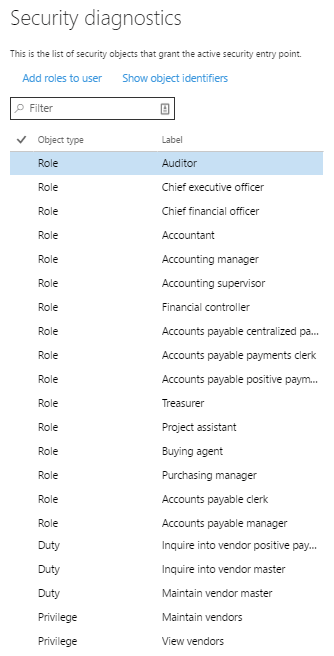 I am having one query like as we are having Server method in Privileges in AX 2012 how we can implement the same in D365. Server method will be Action menu item.